Despite promises of sweeping reform, it appears very little will change for Qatar’s expats when the new sponsorship legislation signed into law yesterday takes effect, residents and human rights advocates have said. 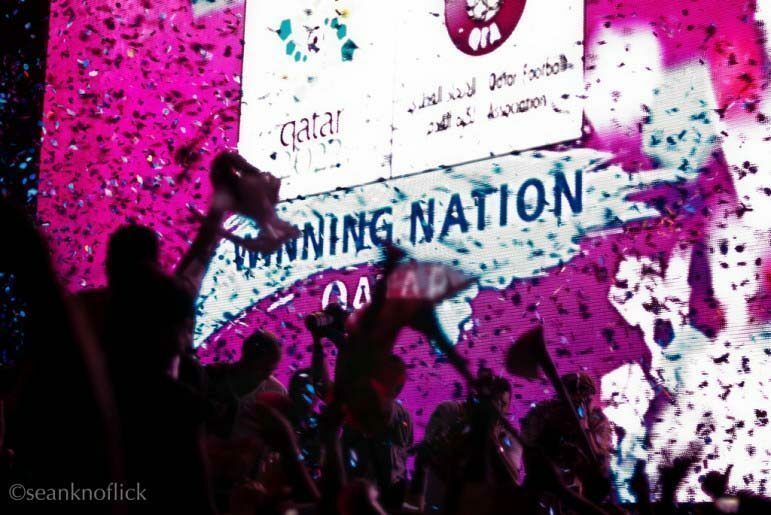 Foreigners comprise the vast majority of Qatar’s population – nearly 90 percent. When changes to Qatar’s sponsorship law were first proposed more than a year ago, government officials said it would become easier for expats living in Qatar to change jobs and leave the country. But under Law No. 21 of 2015 signed by the Emir, an employer’s approval is still required before an expat can travel outside Qatar or, in some cases, transfer to a new job within five years of starting work. @Toryscott @dohanews @peterkovessy it’s all just a show for the international eyes. The term Employee should be changed to slave. What has changed is that residents on fixed-term contracts should now be able to switch jobs once their contract is finished without their employer’s approval, though the government’s permission is still required. Previously, one had to wait two years before being employed in Qatar again if his/her initial employer refused to grant a no objection certificate. This sentiment was also expressed by several businesspeople interviewed by Al Sharq who focused on provisions that would allow expats to change jobs more easily, providing they receive permission from the MOI and Ministry of Labor and Social Affairs. He added that the five-year threshold is fair because employers spend a considerable amount of money to recruit and train new employees. Meanwhile, Mubarak Bin Ferish Mubarak Salem – head of the financial internal committee affiliated with the Central Municipal Council – told Doha News that the new law served the best interests of both expats and their sponsors. He said that he believed that the law would have a positive effect on the economy. Investors and employers will have fewer problems with expat employees as the duties and responsibilities of all parties are clearly explained, Salem said. He added that even before the law, Qatar and its people always treated expats with respect and gave them their rights. The new law builds on that, Salem said. 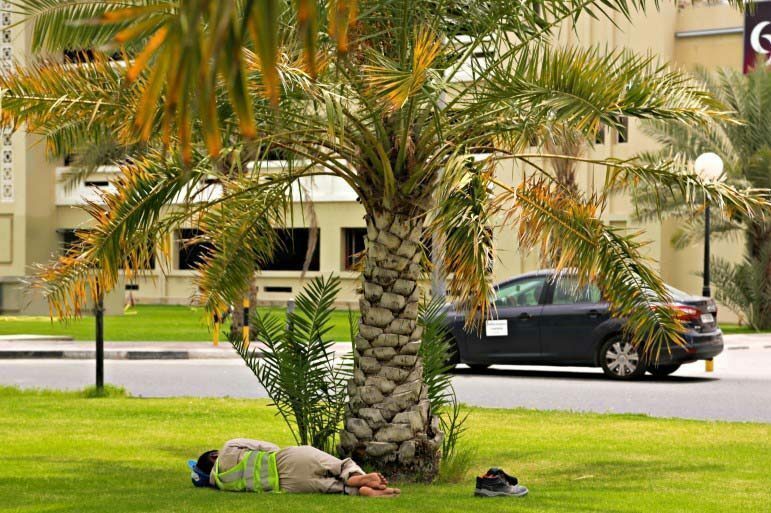 For the past two years, government officials in Qatar have used the promise of sponsorship system reforms to deflect criticism of the poor living and working conditions of many blue-collar expats, particularly those working in the construction sector. It hired international law firm DLA Piper to examine the living and working conditions of expats in Qatar and make recommendations. The firm suggested reforms to various laws, including setting a minimum wage – something that government officials have ruled out. With regards to exit permits, DLA Piper said expats should be allowed to apply directly to the MOI, rather than their sponsor, for permission to leave the country. According to rights groups, the legislation may have been watered down by the country’s influential business community, which resisted many of the proposed changes. There were also fears among some Qataris that reforms could mean, for example, that their domestic workers would suddenly quit en masse or that the country’s economy would grind to a halt. For example, earlier this year, the Peninsula reported that some business leaders wanted restrictions on engineers and senior employees working on mega-developments such as Msheireb to prevent them from changing jobs midway through important, time-sensitive projects. But that doesn’t make up for a lack of substantive changes to protect Qatar’s most vulnerable expats, some said. “It sounds extremely disappointing,” Nick McGeehan, a Gulf researcher at Human Rights Watch, told Doha News. Speaking to Doha News, former Qatar justice minister Dr. Najeeb Al Nuaimi said that the reforms are not up to the expectations of international human rights organizations, but are still an improvement from the old kafala law. Others were frustrated at the amount of time it would take to implement the changes. According to Qatar’s state news agency, the new law would take effect a year after it’s published in the government’s official gazette, presumably to give companies time to prepare for the changes. A year ago, the human rights organization said that with the 2022 World Cup approaching, “time has almost run out” for the government to introduce reforms that would protect the large numbers of foreign construction workers build the infrastructure required for the tournament. Building and Woodworkers International (BWI) Union, an international federation of trade unions, described the changes as “too little, too late,” and reiterated its calls for an immediate end to the exit permit system. Locally, Ali Bin Samikh Al Marri – the head of Qatar’s National Human Rights Committee – told Al Sharq that the reforms are in line with his organization’s recommendations. He added that allowing expats to obtain exit permits within three business days shows that the government is serious about ensuring human rights.